The book ‘My Dolls’ House, a work of love by Patricia Cohen’ is now for sale at Concierge and Harry Hartog with all proceeds going to the Burnside Village Foundation. 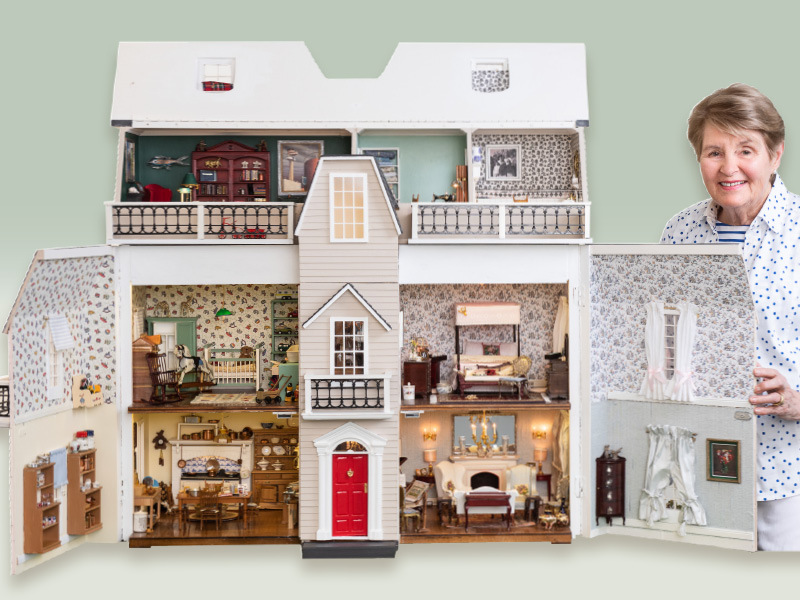 Pat Cohen, the co-founder of Burnside Village is an avid dolls’ house lover and collector. Read about her journey and inspiration as she remodelled her dolls’ house over several years incorporating miniature pieces inside from all over the world as well as unique and handmade pieces. The dolls’ house featured in the book is on display in the parents room in-between Kikki.K and Camilla. The book can be purchased from concierge & Harry Harthog for $9.95, with all proceeds to the Burnside Village Foundation, to help South Australians to achieve their dreams.